Kalel Dizon, Tanveer Dhillon, Jakob Celso and Tariq Ali were playing basketball at around 11 a.m. when a police car pulled over. 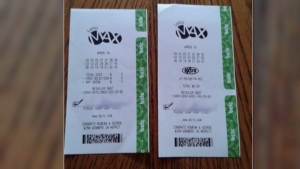 The group of friends say police were in the neighbourhood going door-to-door, and assumed the officer wanted to talk to them about their investigation. Instead, he wanted to shoot some hoops. "I thought we were in trouble," said Celso. "He came over and asked, 'Can I play?'" The boys quickly separated into two teams with the unnamed officer taking part as his partner waited in their vehicle. He played with the group for 10 to 15 minutes, before having to leave. "He was pretty good," said Ali, adding that the officer passed the ball more than he shot. The kids regularly play basketball together, for hours at a time, and say they've never had an experience quite like this. "It was really fun and awesome," said Dizon. "It was really surprising." Ereen Dizon, Kalel's father and the one who captured the incident on his phone, says he was touched by the scene. He says many parents teach their kids that cops are there to discipline them if they misbehave, and having an officer spend time with the group in a positive way was a welcome change. He wasn't able to talk to the officer but has one thing he wanted to say: "I just want to thank him for giving back." 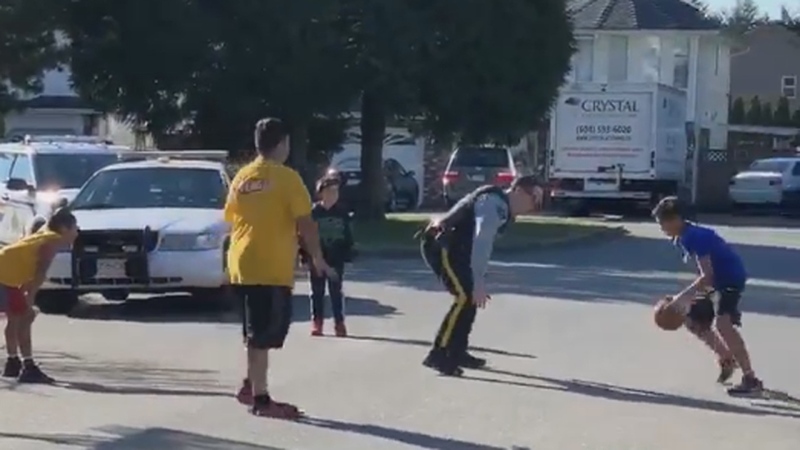 An unknown Surrey Mountie pulled over on March 17 to play basketball with a group of kids.